I wonder how many readers saw anything in western mainstream media related to informal statement of outgoing Croatian President Stjepan Mesic – published on 19.1.2010 – which he gave during informal meeting with journalists . “If Milorad Dodik (head of Republica Srpska, AR) scheduled a referendum for secession of Republika Srpska from Bosnia and if I were the president…I would send the army,” and would ‘break the Bosnian Serb region in half’. The Serbian half of Bosnia is split in two and connected by a narrow corridor that runs along the River Sava on the border with Croatia. Militarily cut off the corridor in Bosnia’s Posavina region would split Republika Srpska in two. due that he does not like possible democratic referendum. “Problems must always be solved through negotiations and with the agreement of all interested parties,”. Milorad Dodik said in a statement. Mr Dodik plans to hold a referendum on Bosnian Serbs’ support for Dayton, which he claims is under threat from western-backed efforts to strengthen Bosnia’s federal powers at the expense of its ethnic “entities”, Republika Srpska and the Muslim-Croat Federation. The referendum will taken place earliest mid-February. Just after 2004 Orange Revolution Ukraine took course towards Nato and EU, the new leadership had popular backing to fulfil fast forward hopes its policy. Instead of the fast forward progress scenarios the outcome has been a totally different crisis scenarios including possible confrontation between Ukraine and Russia in Crimea due the Black Sea Fleet, a new dispute over the supply of Russian natural gas to and via Ukraine, different ethnic tensions with minorities and of course declining economy with all social impact. The dominant factor in Ukrainian political life has been the inability of political leaders – President Victor Yushchenko and his prime ministers – to work together to promote high-flown ideas. Now however the course is changing again in January elections. According different opinion polls President Yushchenko will lose the game already on first round and the winner of second round early February will probably have a pragmatic approach towards Russia and potential to implement more balanced policy. Ukraine is likely to pursue a more modest pace in developing its relations with NATO, a more measured tone on support for Georgia, and more moderate relations with Russia. Internally Ukraine has a big divide between the Russian friendly and ethnic Russian regions against the more westward looking regions. There is ethnic tensions also between central government and the (Trans-Carpathian) Rusins – an East Slavic people that is the indigenous population of the Carpathian Mountains; the Crimean Tatars and nowadays also with supporters of radical Islam. An of course there is some 9-17 million Russians in country total population of 46 million. During Yushchenko’s presidency Ukraine has been eager towards Nato membership; same time there has been speculations what will the near future foresee after 2017 for the Russian fleet in Sevastopol? In the worst case the situation might even instigate or support an effort by Crimea to break away from Ukraine. The new president probably is ready to end these speculations. From my viewpoint Ukraine has during last presidency lost its regional importance mostly due the geopolitical energy game. GUUAM (Georgia, Ukraine, Uzbekistan, Azerbaijan and Moldova) Group was founded 1999 with help of US to foster favourable conditions conducive to economic growth through development of an Europe-Caucasus-Asia transport corridor. GUUAM was dominated by Anglo-American oil interests, ultimately purports to exclude Russia from oil and gas deposits in the Caspian area, as well as isolating Moscow politically. The adventure after Orange revolution in foreign policy issues finally lead to situation where Ukraine turned from a subject of politics into an object of (geo)politics. One of the real parts of Euro-Asian Oil Transportation Corridor is the Odessa-Brody oil pipeline from Ukraine to Poland for transportation oil from Caspian Sea region to Baltic Sea. However completed in 2001 up to Brody near the Polish border, that pipeline remained empty for three years. In 2004, Russian oil companies began to transfer oil from Brody to Odessa instead of original from East to West plan. However, Ukraine still looks to extend this pipeline so that it can carry Azerbaijani oil arriving from the Georgian port of Supsa to Odessa and then take it to the Polish refinery at Plock and potentially to the port of Gdansk. Some 500 kilometres of pipeline have to be built for that to happen. Meantime other players have been taken more and more Azerbaijan’s energy resources for other markets. The latest gas dispute made it clear that Ukraine is not reliable transmitter of Russian gas to Europe. This boosted EU’s Nabucco –plan to new level. The same is true also with Russia’s South Stream pipe line. The both pipelines are bypassing Ukraine. When implemented – probably until 2015 – the new line(s) are invalidating the significance of Ukraine as transit route of energy. Turkey is taking this role as most important energy hub for Europe. More e.g. in article “The Nabucco-South Stream race intensifies”. For a short-sighted and selfish political motivation (the weakening of Russia and its sphere of influence) of West has helped divide and devastate Ukraine. However the EU can’t afford Ukraine economically, geographically and politically, nevertheless in an attempt to weaken Russia EU attempted to lure it away form the Kremlin’s sphere of influence. The result has been economic catastrophe for Ukraine which has seen significant rises in its gas and oil bills along with other economic misfortunes. The unsolved economic and social difficulties accompany the young state since its declaration of independence. The outbreak of the world economic crisis in 2007/08 with its financial and industrial breakdown accelerated and deepened these problems such as a general credit crunch, an enormous devaluation of the currency, a decline of production following the decline of steel-prices on the world-market and a remarkable reduction of foreign-trade which effects are reflecting from one side the integration of the country into the market economy and Ukraine’s peripheral position from the other side. Despite the greatest media freedom Ukraine has position 155 in press freedom and is described as partly free in Freedom House survey. Threats, harassment, and attacks against the media continued as the country’s weak and politicized criminal justice system failed to protect journalists from regional politicians, businessmen, and criminal groups. Ukraine would definitely be an interesting case study in criminal justice degree courses. One of the main tasks of the new political leadership is to provide a balanced position between Brussels and Moscow. This may be realistic when the EU same time is searching a possible “third way” between EU member- and non-membership with some innovative model of “privileged partnership” discussed especially with case of Turkey. The model – when first created – could be copied also with some other countries which now are in enlargement process or included in Eastern Partnership program like Ukraine. Ukraine tried play important role in U.S. backed GUUAM to create East-West transport corridor for energy blocking Russia from Caspian Sea energy resources and isolating Moscow politaically. However Russia implemented its own initiatives making North-South energy corridors stronger and helping to transfer East-West corridor some hundreds of kilometres southwards. As a result GUUAM is nearly dead, both EU’s and Russia’s new pipelines are bypassing Ukraine, Turkey is coming the main energy hub to Europe. I wait that during this election Ukraine will finally get rid off Mr. Yushchenko already in first round, which will be won by Mr. Yanukovich. However last round will bring victory to Mrs. Timoshenko and so the country will get both pragmatic and charismatic new leader. The new president in Ukraine will probably have more pragmatic approach towards cooperation with Russia. Ukraine is likely to pursue a more modest pace in developing its relations with NATO, a more measured tone on support for Georgia, and more moderate relations with Russia. The outcome can very well be easing tensions not only in energy policy but with ethnic and military fields too. The last election in Croatia can bring a refreshing change with new President Ivo Josipovic – a university law professor and a composer of classical music – but he will find a much tougher struggle ahead of him. This struggle not only due economical problems (national debt and unemployment) but also problems related to Croatia’s past. These problems are highlighted when Croatia is on final round to come next EU member state. Government has been also cracking down on the independent media. The regime controls state television and radio, suppressing dissent – especially, any investigations into high-level HDZ corruption – and also recently some journalists have been killed and physically assaulted. Only 39% thought that a majority supports EU accession, while 45% thought that most Croats are opposed to entering the EU. Opinions about this issue are unevenly distributed: support for the EU is higher among the urban population (35%) and people with a university education (51%). Differences can also be observed between the different regions of Croatia: support for the EU is highest in the urban region around Zagreb (Zagrebacka Regija, 36%), while rather rural areas such as Istocna Regija and Središnja Hrvatska have rather low support with, respectively, 21% and 22%. One concern related to Croatia’s joining to the EU could be Croats’ strong identification with their own country: 65% of interviewees (Gallup mentioned earlier) identified very or extremely strongly with Croatia; this was one of the highest percentages in the region. This might indicate that, 17 years after independence, residents in Croatia are still more interested in establishing their national identity than in looking towards Europe. 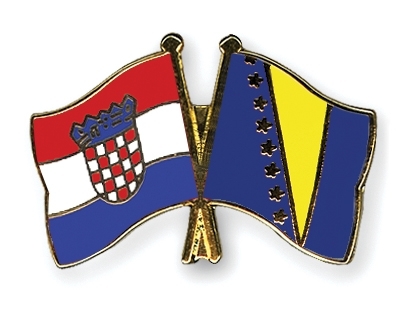 One aspect influencing Croatian patriotic feelings is the situation of Croats in neighbouring Bosnia-Herzegovina. Some time ago a Croatian NGO Libertas made public statement in which it says that Croatians in Bosnia are victims of Bosnian Muslim terror and are asking Bosnian Croat political leadership to initiate a plan that will break up the Bosnian Federation entity and form a Croatian one. Do possible three entities (each of them with Bosniak, Croat or Serb majority) of have any reason to hang together in same state or are more alluring prospects other side of the borders? Economical cooperation with Serbia will probably develop e.g. when Croatia is taking more active role with implementation of South Stream gas pipeline project. The country is expected to complete its accession negotiations in 2010 and join in 2012. With new president this is very realistic. On December 25 US authorities arrested a Nigerian named Abdulmutallab aboard a Northwest Airlines flight from to on charges of having tried to blow up the plane with smuggled explosives. He was “suspected” of having been trained in for his terror mission in Yemen. A new target for the “War on Terror” has been found. Is it really so that a guy who burnt his trousers with some powder hidden there has so big influence to geopolitics – I have some doubts. More than from trousers of this desperate Nigerian wannabe terrorist the hidden agenda may be found again from great energy game and from interests of military-industrial complex. 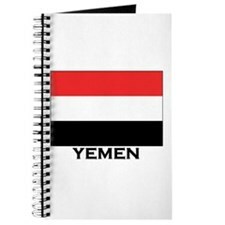 Yemen has a population 23.8 million is located at the tip of the Arabian Peninsula , bordered by Saudi Arabia to the north, Oman to the east, Red Sea to the west and Gulf of Aden to the south. It is one of the poorest countries in the Arab world. Per capita GDP estimated at $2,500; 45% live below the poverty line, and 35% are unemployed. The Republic of Yemen was created in 1990 when North and South Yemen united. President is Ali Abdallah Saleh became the first elected President in reunified Yemen in 1999 (though he had been President of unified Yemen since 1990 and President of North Yemen since 1978). 53% of the Muslim population is Sunni and 47% is Shi’a. 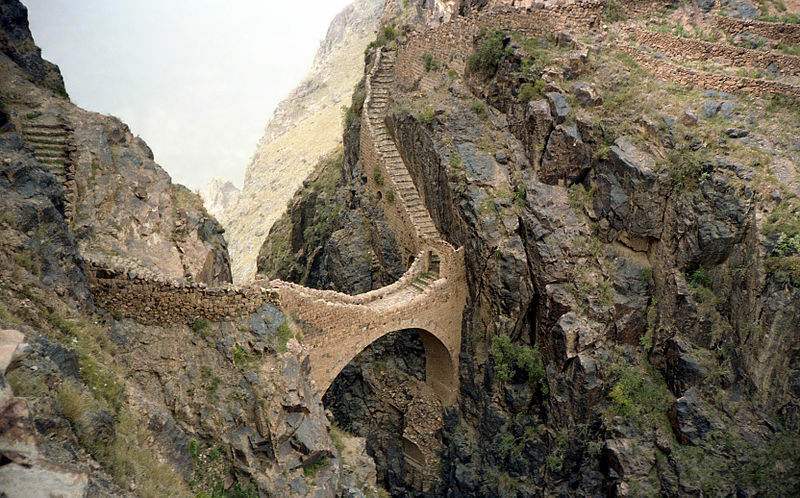 Among Yemen’s natural and cultural attractions are four World Heritage sites. Yemen’s southern provinces have recently been the scene of US air strikes which Washington claims to be aimed at uprooting an al-Qaeda cell operative in the Persian Gulf state. But the residents of the area dismiss the claims that al-Qaeda members are being targeted in the US-sponsored air strikes, while Yemen’s government says the strike targeted militants and their relatives. The Yemen-based group, which claims to be affiliated with Osama bin Laden’s organisation, had earlier claimed responsibility for the failed attack and called for strikes on embassies in Yemen. The US operation in southern Yemen comes on top of a joint Saudi-Yemeni military campaign in the country’s war-weary north where Sana’a and Riyadh forces are engaged in a fierce fighting against the Houthi fighters. The Houthis, who accuse the Sunni-dominated Sana’a government of discrimination and repression against Yemen’s Shia minority, were the target of the army’s off and on attacks before the central government launched an all-out fighting against them in early August. Saudi Arabia joined the operation later following alleged clashes between its border guards and the Houthis, carrying out regular air strikes and ground incursions against the fighters. One presumption is that US has gave the Saudis a green light to militarily intervene in Yemen to defend the Sunnis against Shias. It remains to see if this outsourcing of US foreign policy to the Saudis is enough or will escalation occur. The actual reason for planned U.S. involvement can be the fact that the U.S.-backed dictator, Yemen’s President Saleh, increasingly is losing control after two decades as despotic ruler of the unified Yemen. Economic conditions in the country took a drastic downward slide in 2008 when world oil prices collapsed. Some 70% of the state revenues derive from Yemen’s oil sales. The central government of Saleh sits in former North Yemen in Sana’a, while the oil is in former South Yemen. Yet Saleh controls the oil revenue flows. Lack of oil revenue has made Saleh’s usual option of buying off opposition groups all but impossible. The government has little control outside the capital, leaving a power vacuum in large swaths of the mountainous, impoverished nations. For U.S. Yemen is important for two energy related issues: one is Yemen’s geopolitical location as one of the world’s most important oil transport routes and the other is undeveloped – some say one of the world’s largest – petroleum reserves in the territory. The same forces that steered the Bush Administration still seem alive and well today. The Military-Industrial-Complex (MIC) has its decisive say in U.S. foreign policy. Why so? The explanation can be found from picture above describing spending in U.S. federal budget. The military industry is a dominant player in the US economy. Military orders drive America’s manufacturing sector. More than one-third of all engineers and scientists in the US are engaged in military-related jobs. Several sections of the country and a number of industrial sectors, particularly shipbuilding and aerospace, are greatly dependent upon military spending or foreign arms sales. 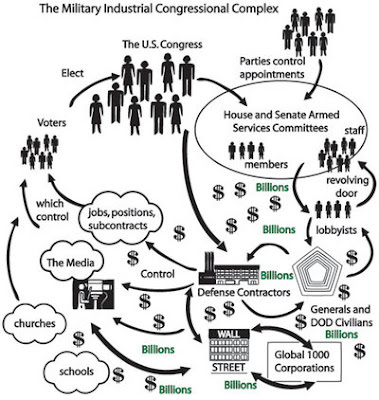 The Department of Defense (DoD), together with the top defense corporations – or what is known as the “military-industrial complex” – controls the largest coordinated bloc of industry in the US. Roughly 75% of federal research and development expenditure is devoted to military projects. While military contractors are looking for new markets, the Pentagon is seeking a new mission. Pentagon and U.S. intelligence are moving to militarize a strategic chokepoint for the world’s oil flows, Bab el-Mandab. The Somalia piracy incident, together with claims of a new Al Qaeda threat arising from Yemen, are serving as good excuse to this campaign. Citing an unnamed former top CIA official, the New York Times wrote that a year ago the Central Intelligence Agency sent many field operatives with counterterrorism experience to the country. At the same time, some of the most secretive special operations commandos have begun training Yemeni security forces in counter-terrorism tactics, the report said. The Pentagon will be spending more than 70 million dollars over the next 18 months, and using teams of special forces, to train and equip Yemeni military, Interior Ministry and coast guard forces, more than doubling previous military aid levels, the paper noted. Without doubt, the military-industrial complex has a stake in expanding areas to be exploited for oil as well as protecting U.S. oil sources. This is good news to the weapons industry. While many sectors in the US are suffering from the economic crunch, top weapons manufacturers are awaiting new orders, hiring new people, looking for new investments and gaining attention on the stock market. Political connections are also helpful in ensuring business and creating new markets. This connection helped influence overthrows of several foreign governments perceived as unfriendly to American business. It also allowed the companies to be at the right place at the right time to take advantage of new business opportunities with puppet regimes. 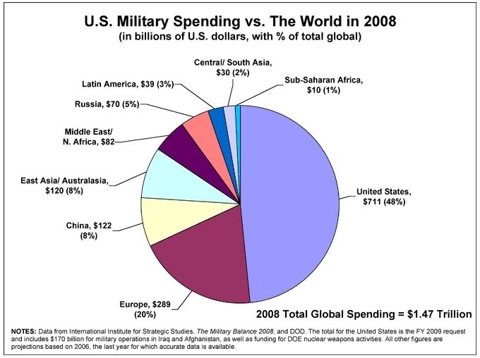 Military Industrial Complex is much more than only developing, producing and marketing weapons. One part is hired guns – private armies – like DynCorp and Xe (formerly Blackwater USA) costing tens of billions of dollars in Iraq and Afghanistan. 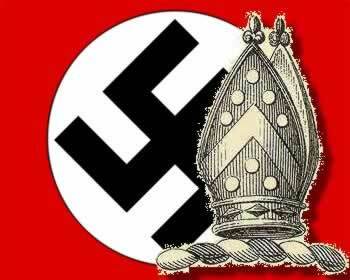 Lack of oversight so scandalous that rampant waste, fraud, and abuse plus war crimes go unmonitored. While U.S. troops are implementing COIN strategy in Afghanistan these companies like the infamous Blackwater, now called Xe, are at work for the CIA, which is spearheading the covert Pakistan war, and this all costs money, big money. Fortunately, the agency still has the opium crop to cover the shortfalls in budget or cash. should learn from its experiences in Pakistan and Afganistan and not repeat the mistakes in Yemen, both in dealing with the government of Yemen and confronting al-Qaeda. The United States and other Western powers need to provide long-term economic development to reduce poverty and raise educational standards, which can help combat terrorism in a more effective fashion than just using military force. Yemen is going to deal with terrorism in its own way, out of its own interests and therefore I don’t think it will counterfire, … The negative impact on Yemen is if there is direct intervention of the US and this is not the case. One task is to prevent exaggeration of problem. The “war on terror” can be used as Yemen’s internal policy instrument when the President tries to transfer his power to his son by stamping the opposition as supporters of al Qaeda. In overall Yemen’s fragile government is in a delicate balancing act between its allegiance to the United States and tribal, political and religious forces that resent U.S. interference in Yemen and sympathize with al-Qaeda’s ideology. From my point of view this the core question which often seems to be forgotten while U.S.MIC tries to secure its quarterly bonuses. I hope that at least EU understands that for solution one needs to take account sociological, religious, tribal and political aspects. 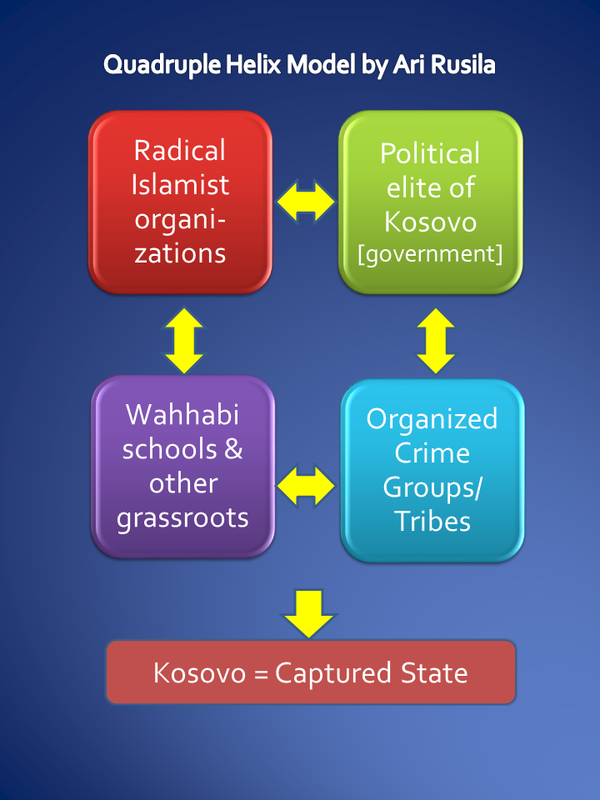 Sure also civil crisis management operation can fail like it has been case in Balkans Some examples in my articles “Bosnia collapsing?” and “Kosovo update” . However this failure probably does not cost so many lives than failed or even successful military operation. With these kind of economical interests it is easy to understand that a guy with burning trousers serves only as part of marketing plan to gain public acceptance. The planning of war started much earlier and probably MIC has already started planning of next invasion options after Yemen. 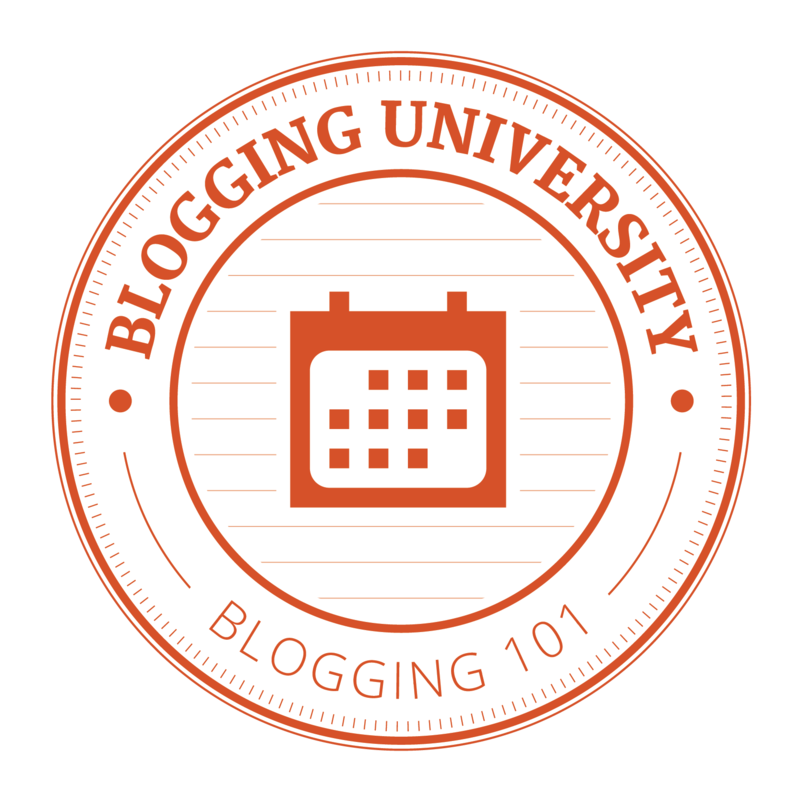 You are currently browsing the Conflicts by Ari Rusila blog archives for January, 2010.